Christmas is the time of year when children want the very latest toys – which can often be tricky to get hold of if you don’t start your Christmas shopping in October! We’ve had Fingerlings, LOL Dolls, Hatchimals, Lego…but what happens to these toys a year or two down the line? These may not be on every child’s Christmas list, but once they feast their eyes on what’s inside they will be thrilled. There are several options available and they aren’t as pricey as you may think. 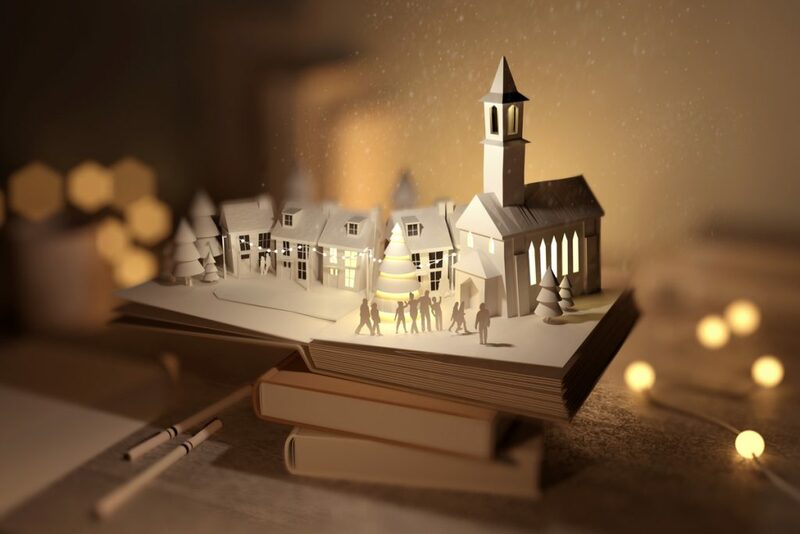 One of the most popular pop up book authors is Robert Sabuda. His books are available for around £15 – £20 and are exquisite. The attention to detail is incredible and although they are new they have a real vintage feel about them. It’s not just story books either – you can find pop up books on Sharks and Dinosaurs. Discover them here. 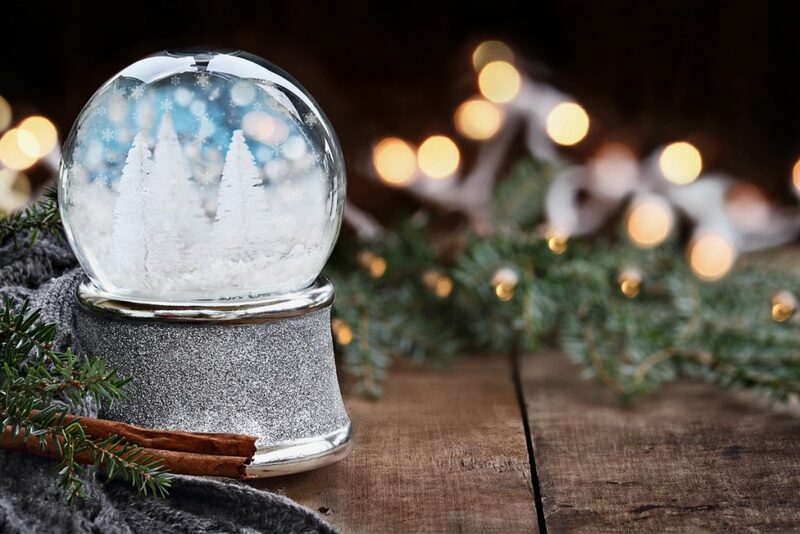 Everyone loves a Christmassy snow globe – something to get out every year and enjoy. However, they aren’t just for Christmas as many stores now sell children’s snow globe gifts, including the Disney Store immortalising your child’s favourite character, Prince or Princess. If you want to go all out, how about an antique fairy story book. Have you looked to see if your parents still have your favourite story book from when you were a child? This would make a lovely unique gift to hand down to your child. 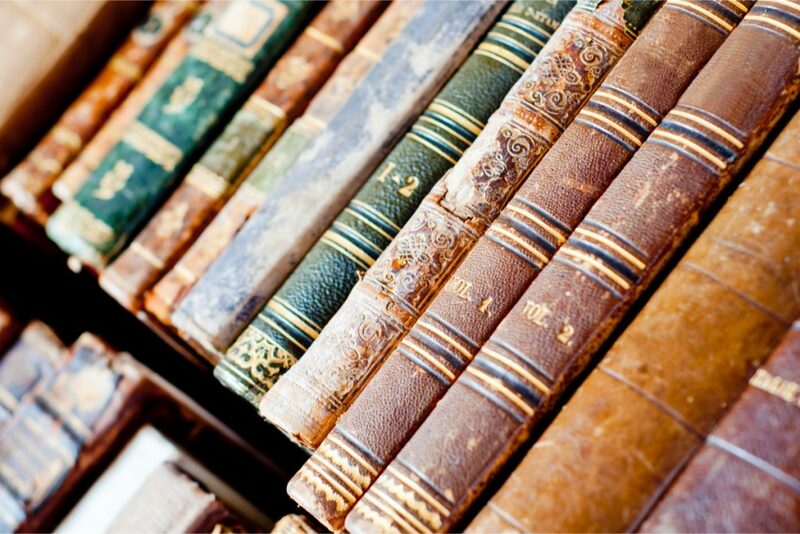 Try Amazon first – as independent booksellers often sell rare and vintage books in the Marketplace section. Alternatively take a look at specialist websites and browse for something your child would love. 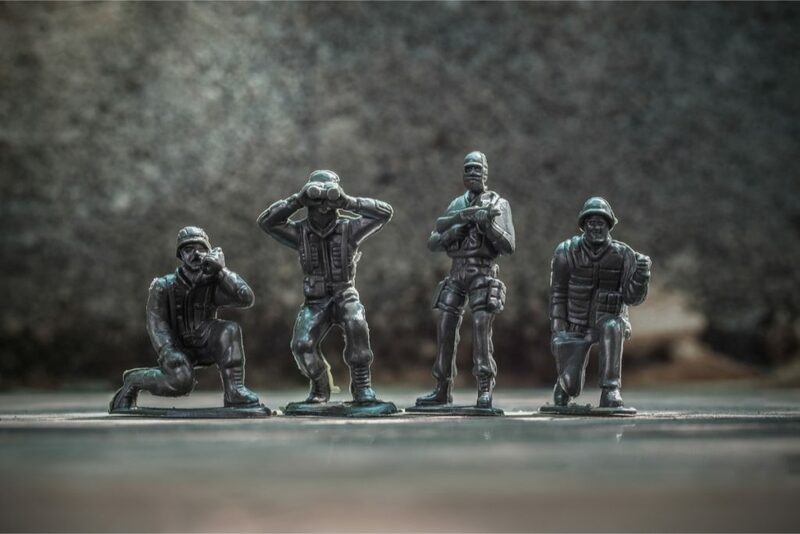 Take a look in the local antique shops for toy soldiers as this was such a huge trend in the 60s and 70s. You may even find a complete set that you can buy for your children to play with. The quality of these items is exceptional and as many were made from mental they are built to last. How about a wind up music box – this will give younger children so much pleasure and can be kept and treasured for years to come. Try Amazon, eBay or one of the arts and crafts websites such as Etsy or Not On The High Street. 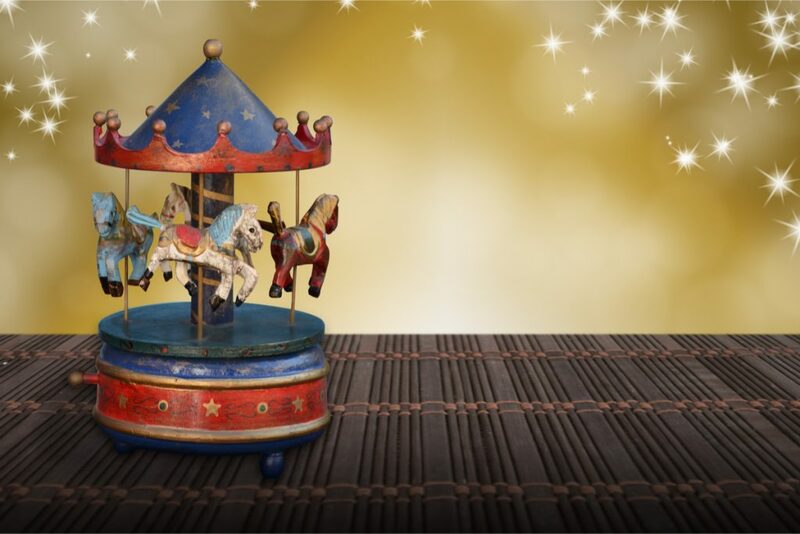 You can even find musical ornaments and trinkets such as merry go rounds. 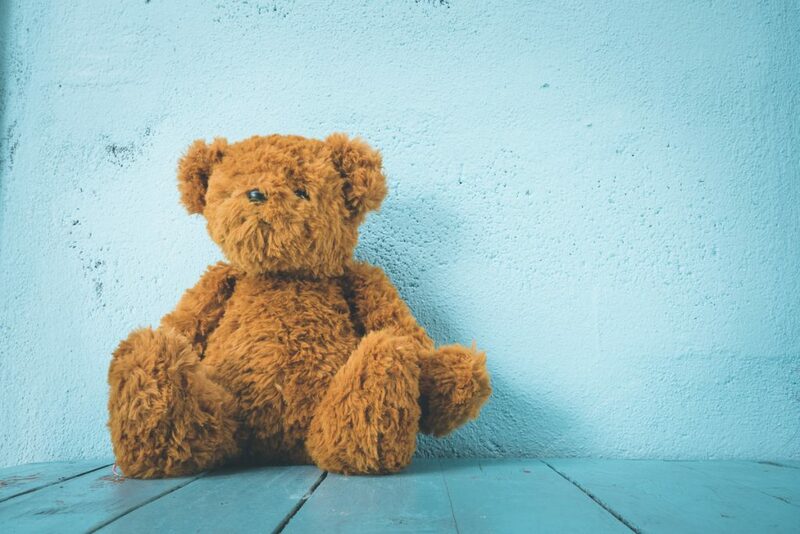 Teddy bears can last for generations especially if you buy a good quality, classic teddy. How about Paddington Bear that will just get better with age, or you can look online on eBay for collectables. Any good quality teddy bear will last if loved and looked after properly. 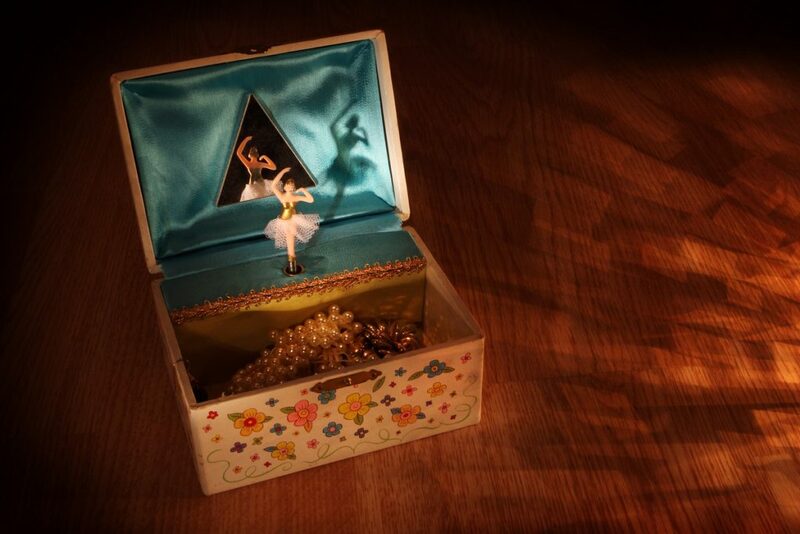 There are some stunning musical jewellery boxes available – perfect for a little girl or boy to keep their treasure. 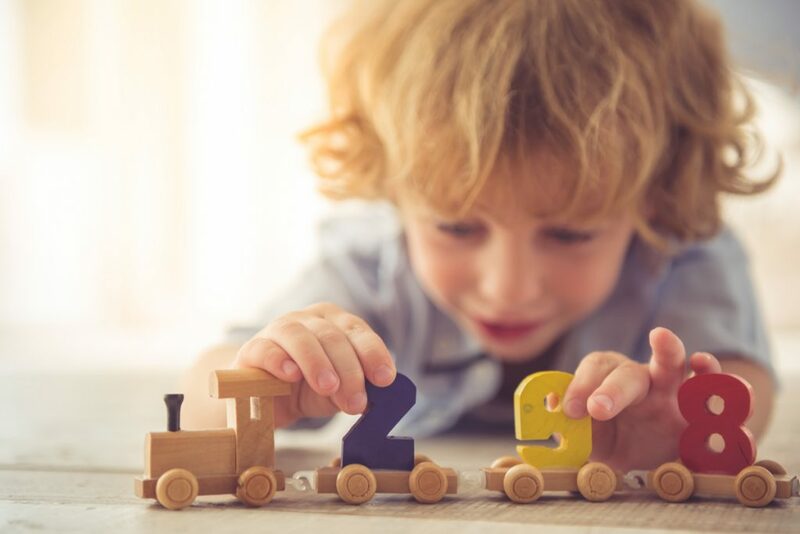 Wooden toys stand the test of time and there are some fabulous wooden toys available from all high street stores, and you’ll often find these in independent toy shops. The great thing about wooden toys is that they don’t to out of fashion – what’s more they look great in your home, making a nice change from bright plastic!